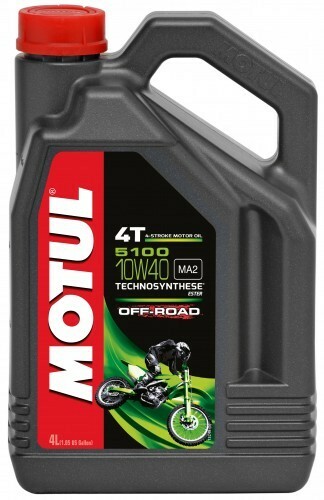 High performance lubricant for bikes. Technosynthese - Ester TYPE OF USE - Street & road bikes, trails, off road bikes, enduro, trial fitted with 4 stroke engines, intefrated gearbox or not, wet or dry clutch, engines meeting Euro 2 or Euro 3 emission regulation, fitted with exhaust gas after treatment systems : catalytic converters, air injection into exhaust pipe. Other uses : street bikes without catalytic converters, scooters, ATV, mopeds.